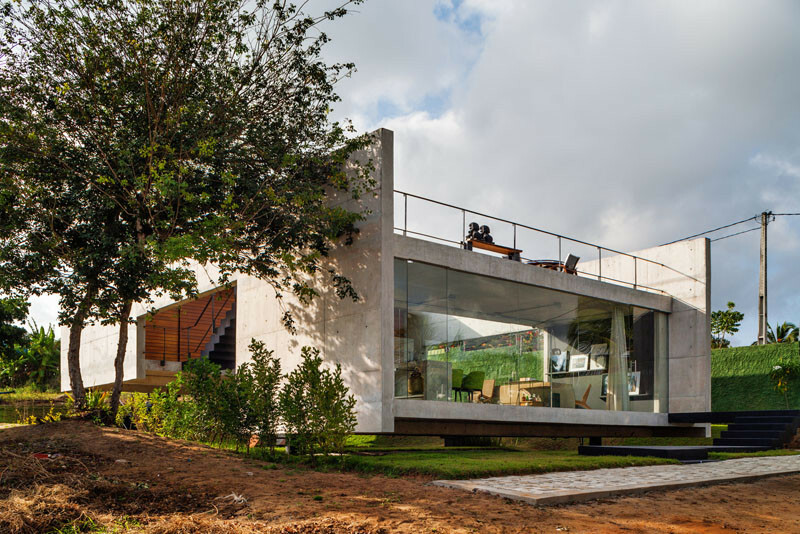 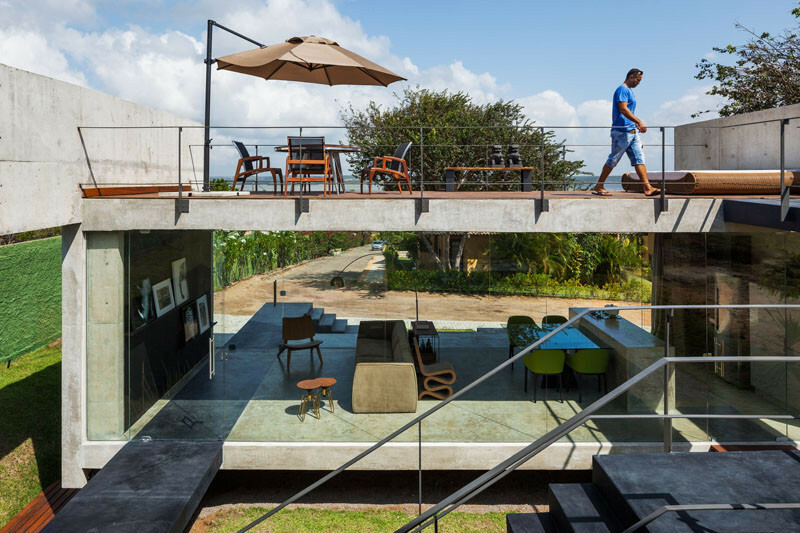 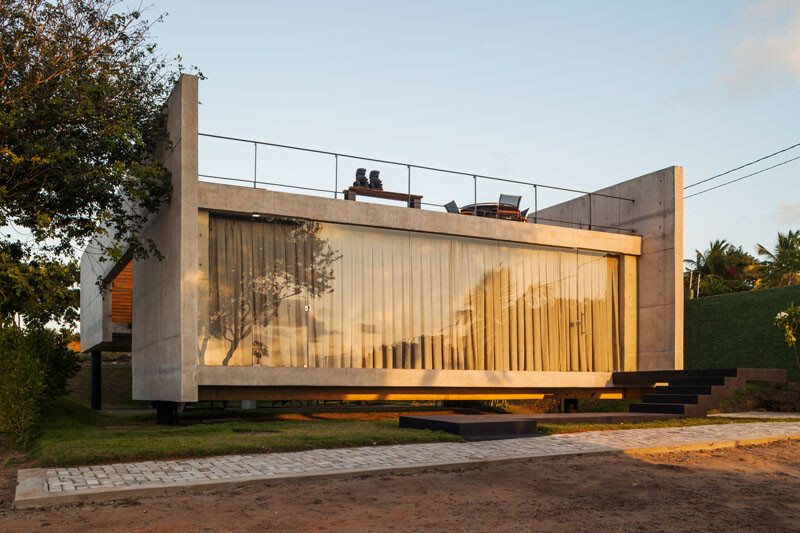 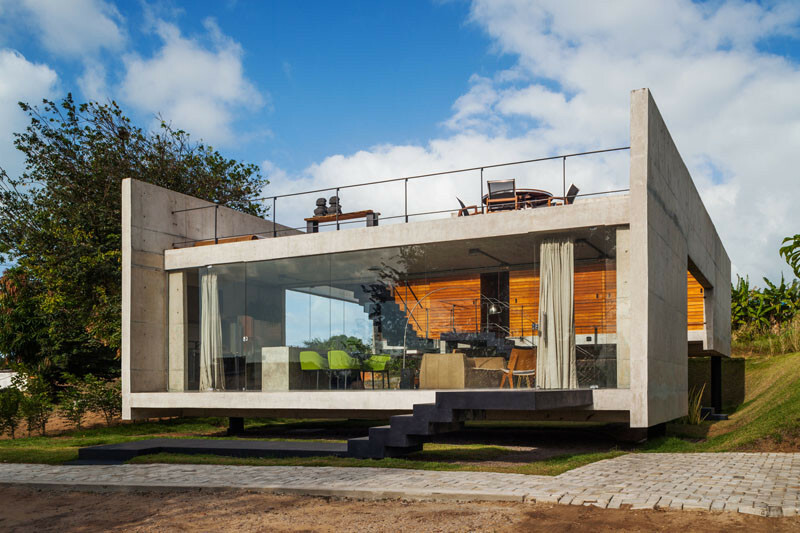 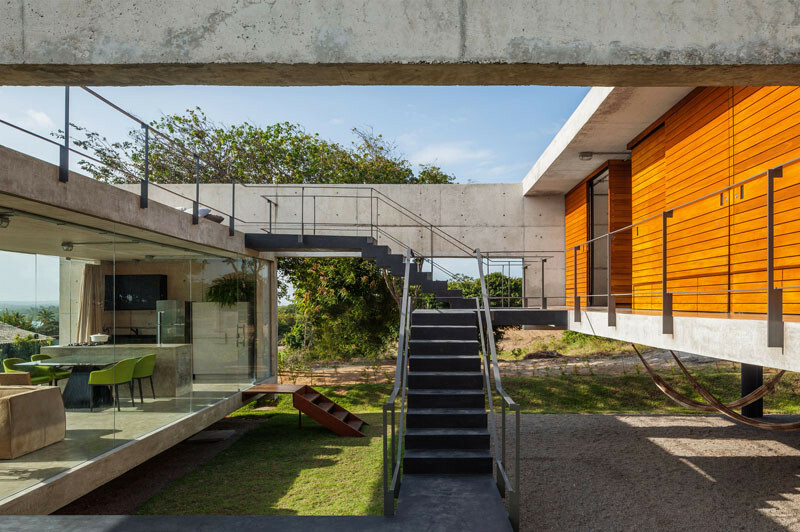 Architect Yuri Vital, has designed this concrete house in Tibau do Sul, Brazil, that’s distinctly split between the living areas and the bedrooms. 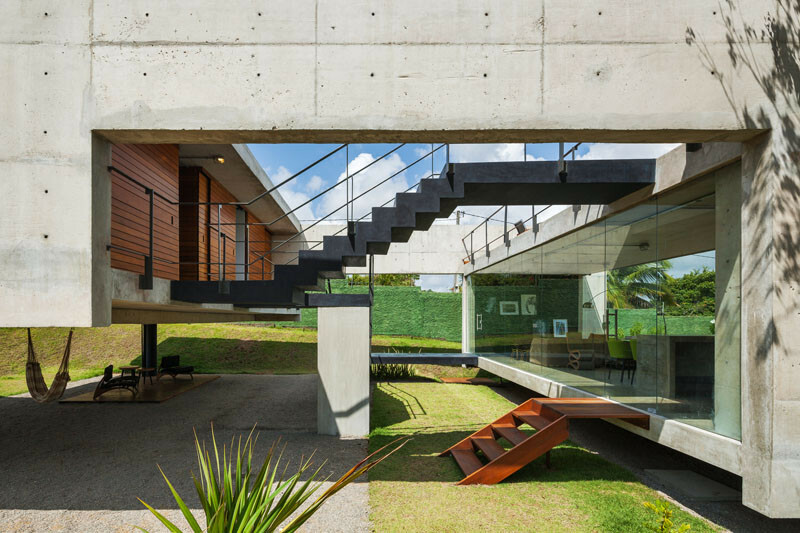 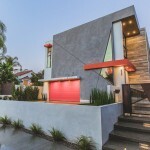 The house is divided into two sections that are connected by a set of stairs. 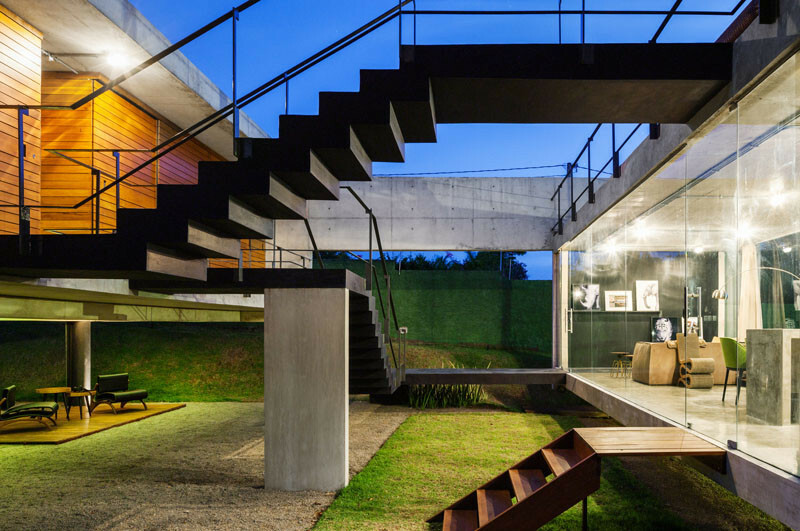 Here you can see the stairs and pathways that connect the two sections. 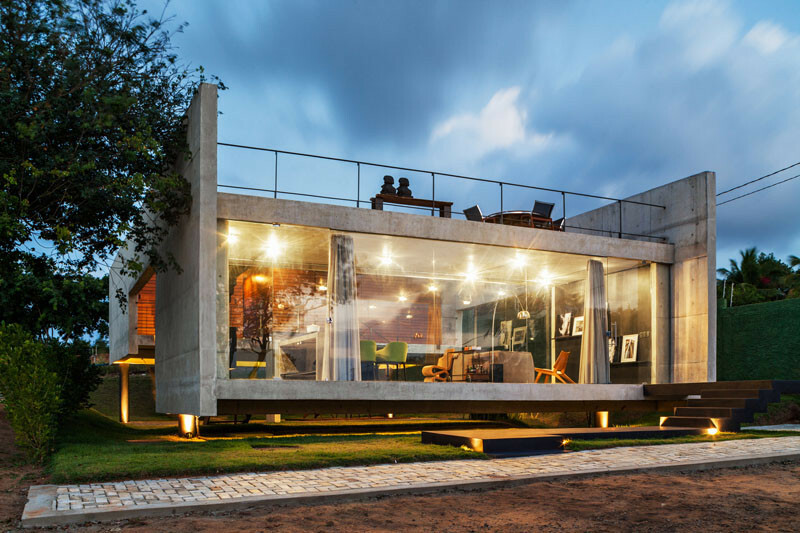 The main living area is contained in one section, surrounded by glass and concrete. 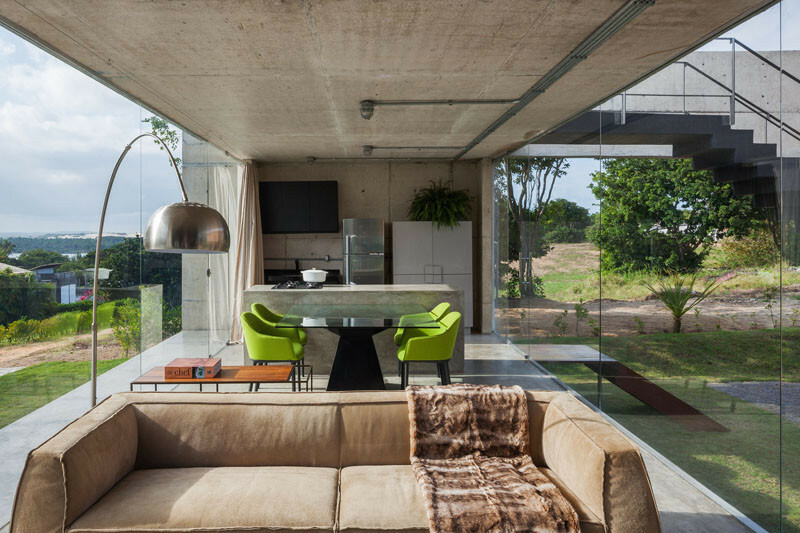 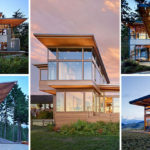 The floor-to-ceiling windows provide picturesque views of the surrounding landscape. 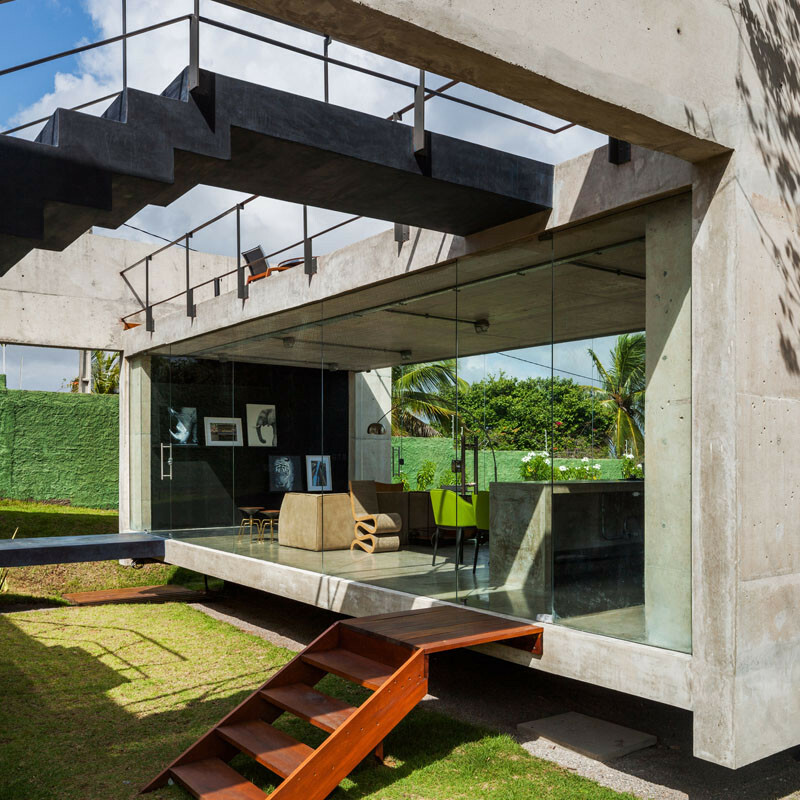 Stairs connect the main living area to the roof top. 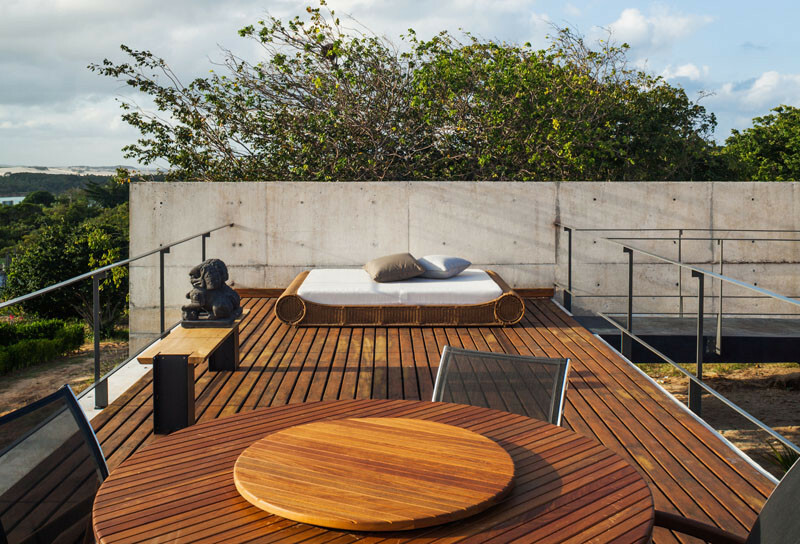 On top of the living area, there’s a roof deck with views of the beach. 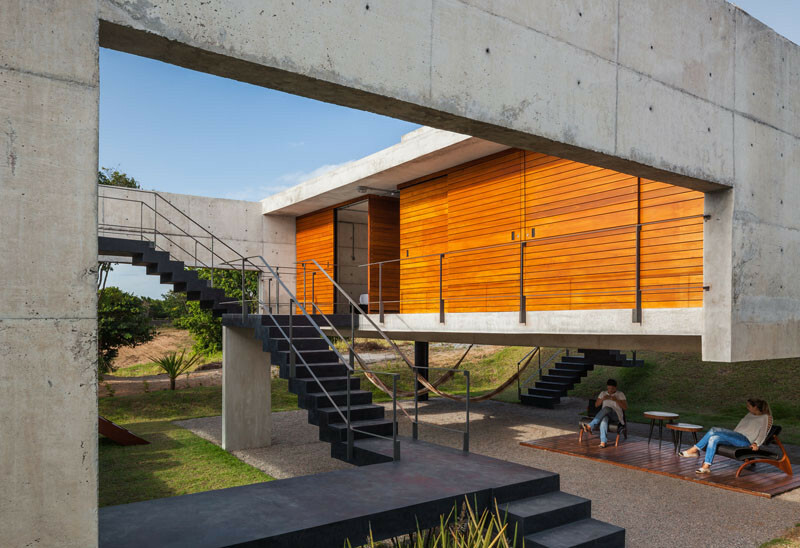 Heading back down the stairs, you have access to the rear section, where the bedrooms are located. 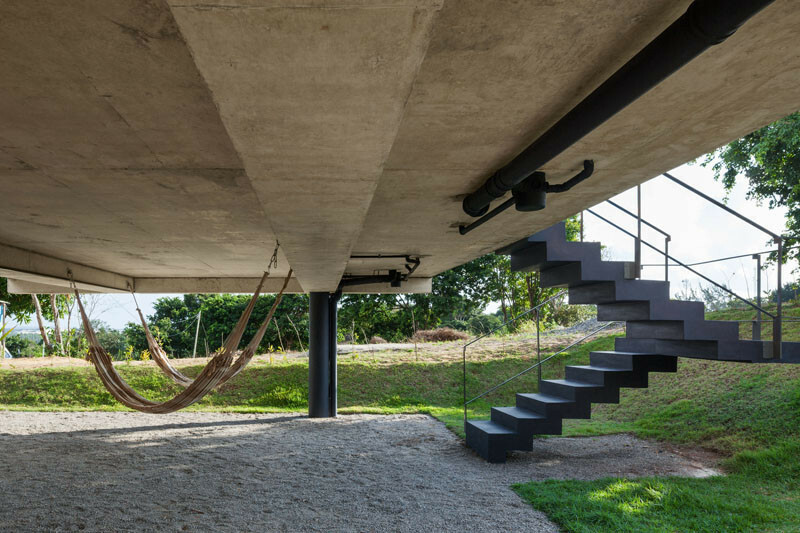 The space underneath the rear section is an area for recreation, parties, or simply as a room to rest.